Karan Johar's Student Of The Year will always hold a special place in our hearts considering it was the debut film of Alia Bhatt, Varun Dhawan and Sidharth Malhotra. A second instalment of the film is underway with a new cast and the big news is that we will finally get to see the film's trailer on April 12. Student Of The Year 2 stars Tiger Shroff along with debutantes Ananya Panday and Tara Sutaria. 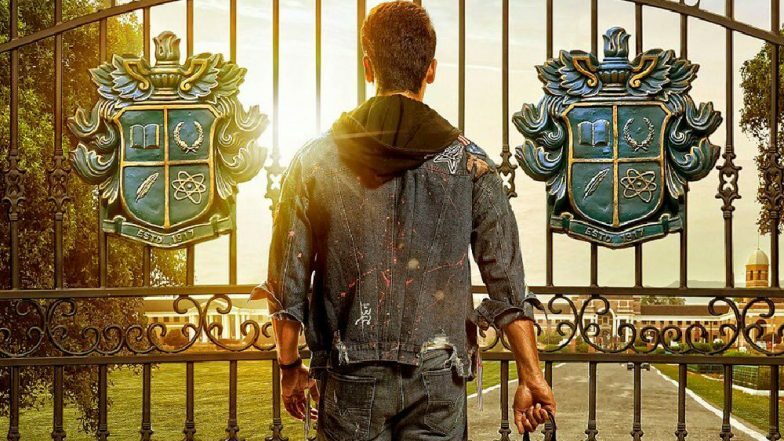 Ahead of the trailer release, the makers are now teasing their fans by sharing some stills of the film and the latest one shows Tiger Shroff standing at the gates of the school while the message reads, 'Take The Challenge'. Ever since we have seen the SOTY 2 trio on Karan Johar's talk show, Koffee With Karan together, we can't wait to see how much fun the film will be. The film has been enjoying a lot of buzz mainly because it marks the debut of Chunky Pandey's daughter Ananya Panday's debut. The sequel has been helmed by director Punit Malhotra whose previous films include Gori Tere Pyaar Mein and I Hate Luv Stories. The film's trailer will be releasing on April 12 which is also a couple of days before the release of the other big Dharma Productions film, Kalank that hits the screens on April 17.